It may be that Nikon’s D800 is selling better than Canon’s EOS 5D Mark III (as lots of blogs report), but no camera is getting that much attention by film-makers as the 5D Mark III. And that’s not wondering: Canon’s new FF flagship is an outstanding cam, not only for stills, but also for video. It was the former model, the EOS 5D Mark II, that started to be a valid alternative for indie film-makers. 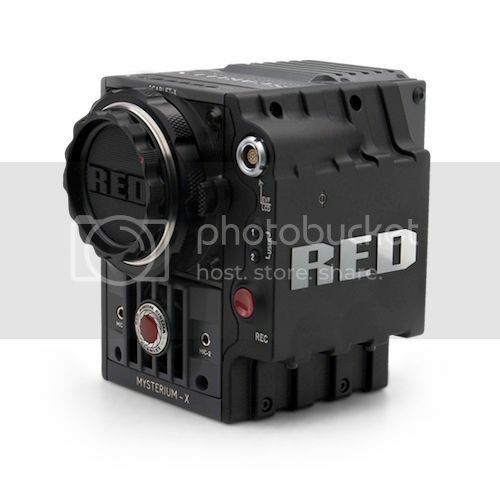 Cheap(er) alternative to the much more expensive gear you had to chose from (read Sony, Panavision, RED). While being thought (and touted) as a camera for still photography, the 5D Mark II rapidly became a film-makers darling. Not only for indie movie-makers: the 5D Mark II was used to shot shows like House and Saturday Night Special, and to shot the action scenes in Captain America. This happened not just because of the surprising video-capabilities of the 5D Mark II, but also because you had access to Canon’s rich and extensive offer of lens for the EOS system. Now we have the 5D Mark III, and the story gets into a new chapter. Read on after the break. Canon’s new full-frame camera vs. RED’s resolution champion – that’s something for movie makers. 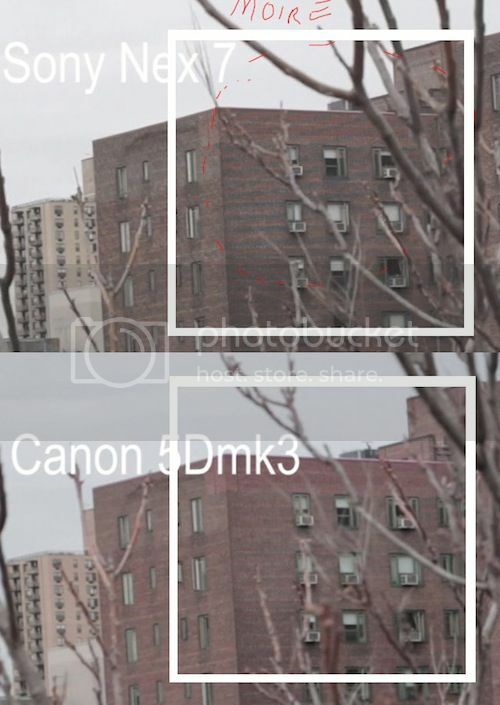 A comparison concerning image details between the EOS 5D Mark III, the EOS 7D and the Scarlet-X done at cinema5d DSLR film forum by user Sebastian, which has also some interesting thoughts about the EOS 5D Mark III (from a film-maker’s point of view). That means a full-frame sensor (5D3) vs an APS-C sensor (7D) vs a smaller than APS-C sensor (Scarlet-X), using a Canon zoom 24-105mm f/4.0 L (5D3), a Tokina 16-50mm f2.8 (7D) and a Contax Zeiss 28mm (Scarlet-X) – this was done to match the shots (but filmed sections are not 100% identical, not a real problem in my opinion). The footage of the Scarlet-X was recorded @2k and scaled down to HD. Not only the 5D Mark III matches the Scarlet-X concerning image details, but there is also less noise. Latest pics uploaded to flickr and eBay live-ticker for EOS 5D Mark III click here, and for EOS 7D click here. Keep in mind this is an extreme test to demonstrate the rolling shutter effect, no one in their right mind would pan like this. However, there are plenty of real life situations when the jello effect suddenly becomes a problem, a fast train or car passing will have leaning windows and elliptical wheels, or watching a chase scene with moving camera and subjects will make you dizzy. Until we get global shutters, the jello effect is CMOS sensor’s biggest Achilles Heel. If you never heard about the rolling shutter effect, the short video that follows will give you an idea. Otherwise jump over and read on. You may wonder why two cameras not in the same league are compared. It makes sense, since theoretically the Nex 7 should perform better because of its smaller APSC sensor (the rolling shutter effect increases with sensor size). The EOS 5D Mark III was set to 1080/24P, ISO 100, Shutter Speed 1/50th, F/8, white balance 5600K, Picture Style Neutral. 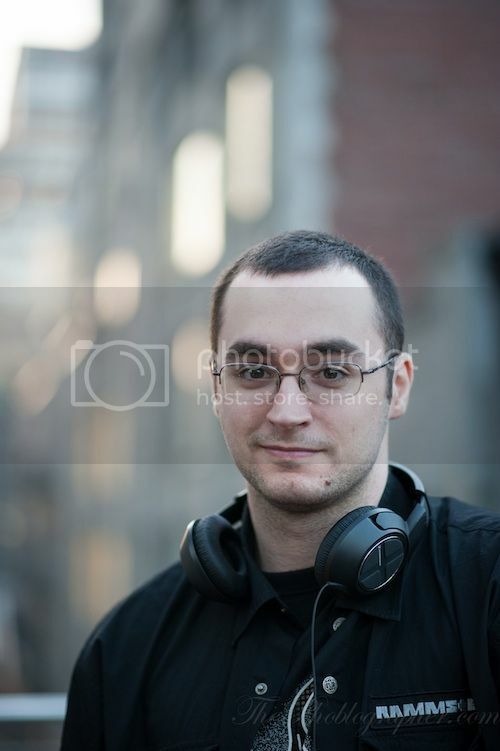 The NEX 7 to 1080/24P, ISO 100, Shutter Speed 1/50, F/8, Picture style Portrait. Sharpening, contrast, saturation have been turned down to zero on both cameras. Surprise, the 5D3 kicks Nex 7′s gluteus maximus, I sure didn’t expect that from the FF sensor, either the Canon is very good or the Sony just terrible, your pick ! There are much more test pictures and crops you can analyze in Mike’s post (which is absolutely worth to be read: click here). 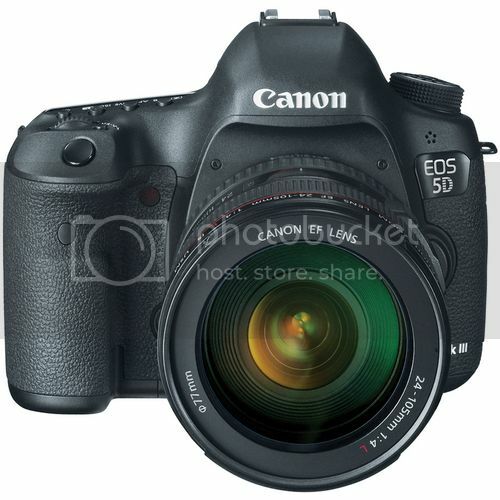 For EOS 5D Mark III sample pics and information click here. 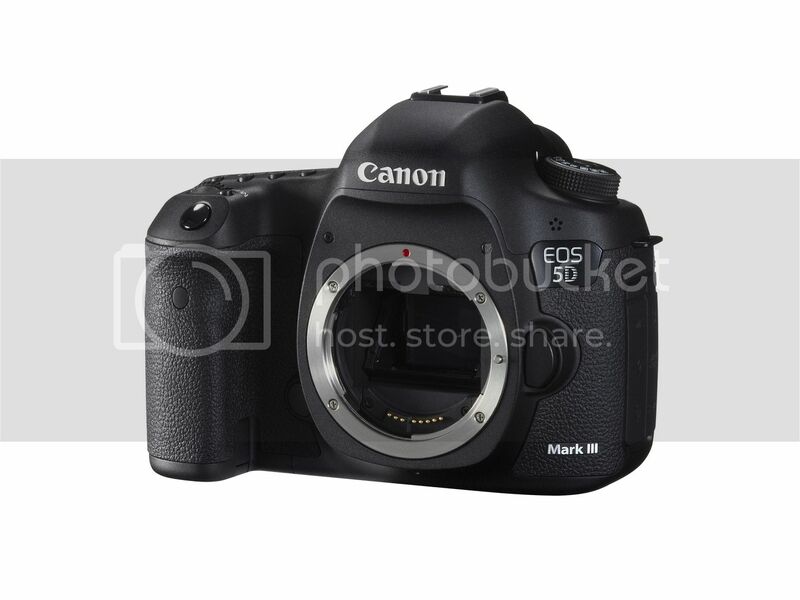 For order and pre-order option, and lot more about the EOS 5D Mark III click here. This is from a post by our friend Chris Gampat over at thephoblographer. 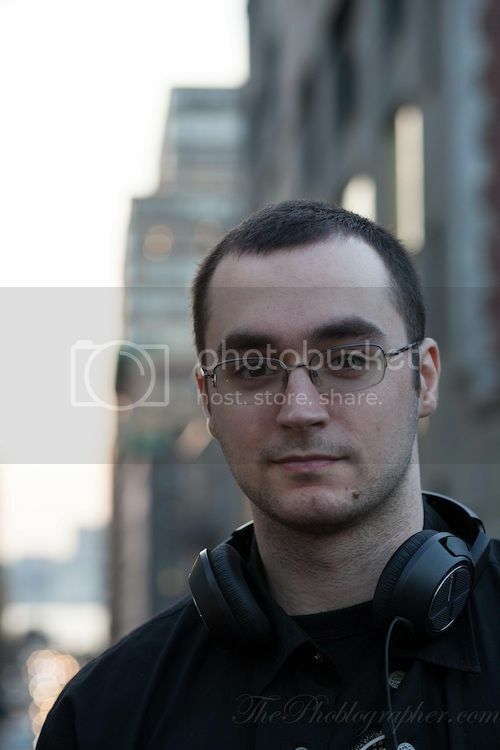 […] I decided to put the two lenses in a non-scientific and totally practical test using all available light at around 7pm in NYC and only shooting at f4 and wider for a portrait. Note that Canon’s EF 85mm f/1.8 dates back to the times when we were using film-cameras, and that Nikon’s 85mm f/1.8 is a rather new lens. 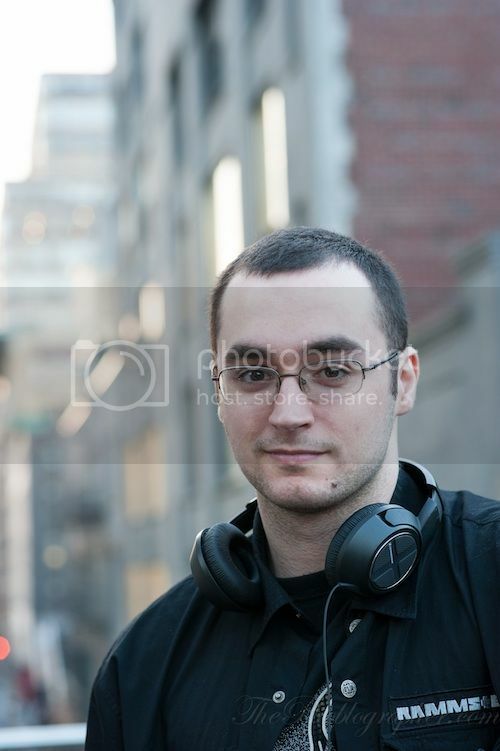 I set both cameras to aperture priority and focused on the same spot of Dennis’s eye. Though their meter readings were very slightly off in aperture priority, it should be noted that in general, Canon and Nikon do have slightly different metering algorithms and this is just part of how they work. He shot using the aperture range from f/1.8 to f/4. I post some of the test pics shot by Chris. 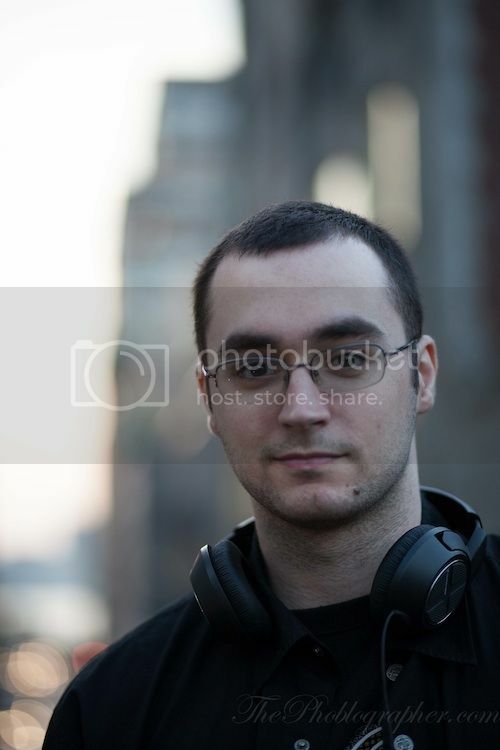 Please visit his site and read the post to get the whole picture (and to see the test images at higher resolution). The discussion is going on. Join it in the comment section of Chris’ post (where you will find more information by Chris itself). 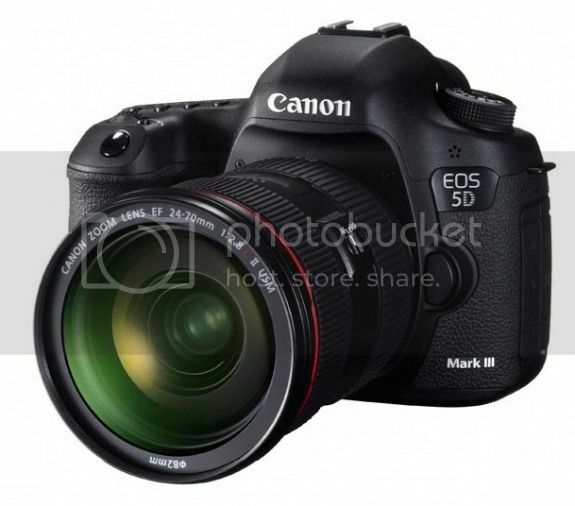 For more 5D Mark II sample pics and information click here. You may also want to have a look at our eBay live-ticker below for possible 5D Mark II deals. 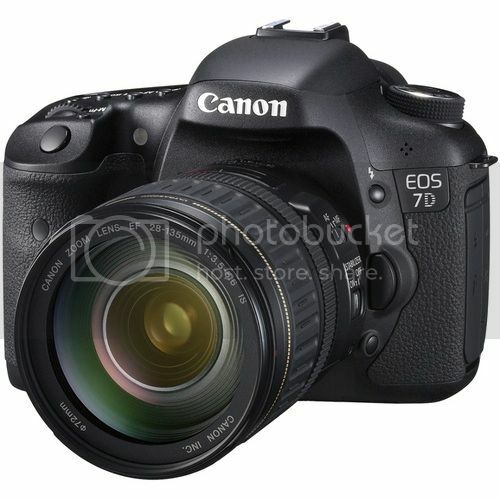 Comparison: G1X vs 7D – Surprising! High ISO noise: not really comparable since on the 7D noise reduction was disabled, which is not possible on the G1 X (NR set to standard). However, high ISO noise is very good on the G1 X. Would have been better to do this comparison using RAW files. The Canon PowerShot G1X actually produces image quality that is very close to that of the Canon EOS 7D; not identical but very similar. The Canon G1X produces photos with, overall, better out-of-the-camera sharpness but less color saturation and slightly less detail, though the difference isn’t really obvious unless you inspect really fine detail as shown in the examples above. Even that can be overcome by shooting in RAW or tweaking the camera’s settings to increase saturation and sharpness. The PowerShot G1X definitely outperforms other prosumer models and compact cameras of its class thanks to its premium larger-than-average image sensor. If you want a relatively compact (though the camera will not fit in your pants pocket at all!) 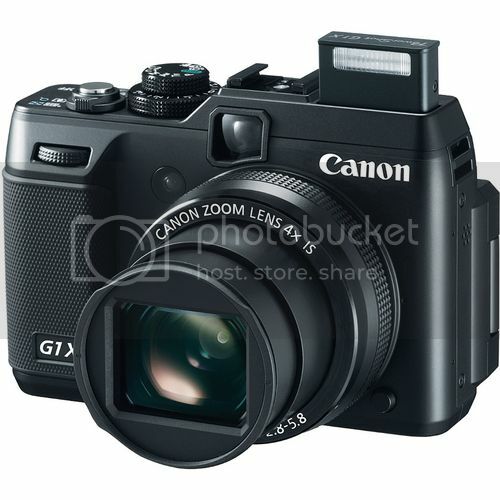 camera that delivers digital SLR or ILC level image quality without the hassle of something the size of an actual SLR, consider taking a look at the Canon PowerShot G1X. Hold one, there is more. The same guys did also a comparison between the video modes of the Powershot G1 X and the EOS 7D. The Powershot G1 X comes with 1080 full HD, stereo recording, 24 fps (720p standard HD and VGA give you 30 fps). The EOS 7D comes with 1080 full HD, mono recording, 24 or 30 fps at 1080p. Ok, let’s go with the videos, first the one shot with the Powershot G1X. Next, the video made with the EOS 7D (1080p at 30fps). 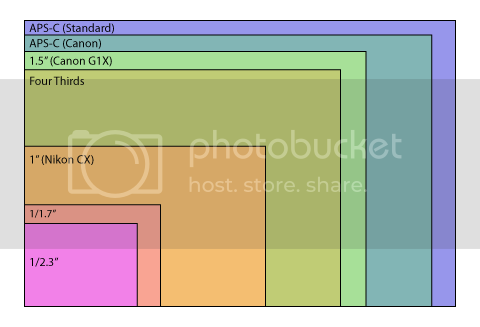 All in all, the Powershot G1 X doesn’t stay that much behind the EOS 7D. Read the post here. Finally, we have the usual services for you. If you want to see some Powershot G1 X samples click here, for EOS 7D samples click here. This is an automatic service retrieving the latest pics uploaded to Flickr. The next two boxes are based on our eBay live-ticker with selected deals. Check them to see if you find what you are looking for. Time to report some 5D Mark III news. 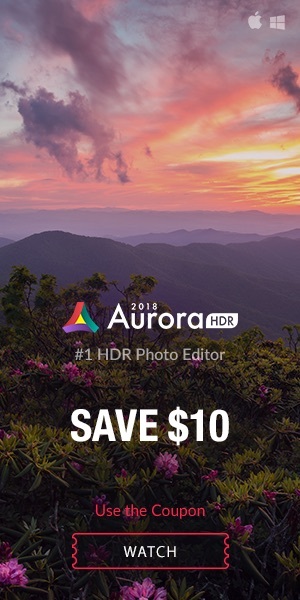 go to DPP’s “preferences”, then “general setting” tab, and the change “viewing and saving RAW images” to “high speed” (default is “high quality”). When using “high speed” the noise reduction palette is not used no moiré correction is applied. Ok, that should help to see all the super sharpness of the 5d Mark III images. Next, let us talk about reviews. There is a bunch out there that are helpful and worth to be read if you want to learn more about the 5d Mark III, or need to take a decision if to buy it or not. Le me start with a detailed hands-on review by lightingmods. Read part 1 and don’t miss part 2 of this review. The latter comes with useful samples, and other informations you may be interested in. Engadget has a pre-production 5D3 for two weeks (those lucky guys…) and made a serious field test with the cam. Shoot in the dark. That’s essentially what you can do with the Canon 5D Mark III — with a top sensitivity of ISO 102,400, what was once unfathomable could soon become an acceptable standard. While point-and-shoot manufacturers are adding WiFi and GPS, and tweaking algorithms in an effort to boost sensitivity beyond the 6400 mark, Canon and Nikon are making clear cases for a DSLR upgrade, by drastically improving image quality. The 5D Mark II had an excellent three-year run, but with its 22.3-megapixel sensor, 1.04M-dot 3.2-inch LCD, improved autofocus and high-performance video capabilities, Canon’s latest full-frame DSLR is an entirely different beast, and a very compelling successor. Silent shooting – You made it past the break! As a gesture of our appreciation, we’re going to let you in on a little Mark III secret — in fact, if that high-ISO shooting wasn’t in the picture, this could very well have been our favorite new feature. Image quality – As you’ve probably already gathered, we’re very impressed with the Mark III’s performance, both while capturing images and when it came time to review them after a shoot. So much so, that we wouldn’t hesitate to declare that image quality is absolutely spectacular. Focusing – You can’t really prioritize features when it comes to a professional camera — everything needs to work, very well, and focusing performance is right up there with image quality in our book. When every shot counts, having a flawless focusing system is key, and thanks to the 61-point High Density Reticular Autofocus on board (the same system you’ll find on the 1D X), we felt quite fulfilled in this department as well. We honestly haven’t been this in love with a camera since we reviewed the Sony NEX-7. And while there’s little to compare from a price and design perspective, we’re seriously questioning that affair, and completely ready to sacrifice the compact design in favor of this incredibly capable do-everything shooter. 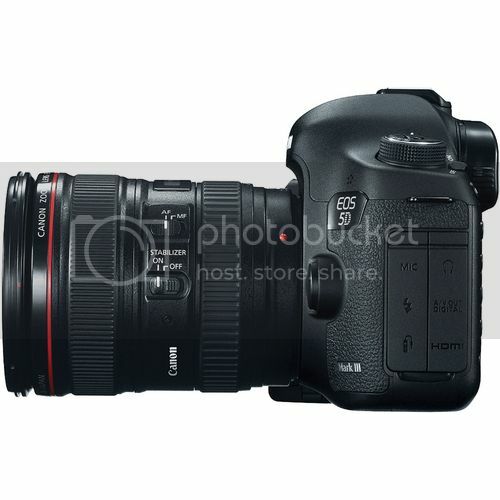 At $3,499 for the body only, Canon priced this latest 5D higher than its predecessor, which rang in at $2,699 at launch. Still, if you’ve been considering a 5d Mark III purchase, don’t hesitate — it’s worth the investment, we promise. And if you’ve already placed your order or have one in the mail, get ready to have your world turned upside-down — this thing is simply amazing, in every way. The review (click here) is filled with sample pics (lots shot in low light) that can also be downloaded (original files). Two videos are provided. The first one a sample video shot with the 5d Mark III. The photographyblog has a LOT of sample images to show, also samples that cover the whole ISO range. They also provided a sample video shot at the highest quality setting of 1920×1080 and at 25 frames per second. You can see the movie clicking here. 5 mins with the 5d3 from Sam Morgan Moore on Vimeo. 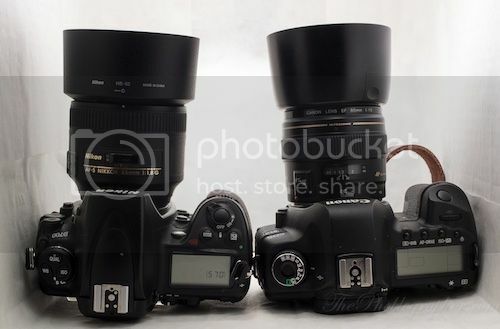 5d Mark III vs 5D Mark II vs Nikon D700 ISO comparisons at dcfever (Google translated). This is a true pixel-peeping thing and wont disappoint those who want to get all the subtile differences among these cameras. 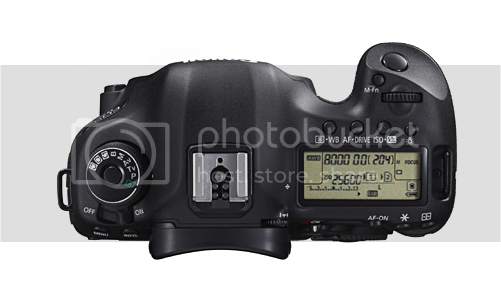 More about the 5d Mark III vs Nikon D800 issue can be read at nofilmschool. National Geographic Photographer Ira Block got a 5d Mark III and shares his thoughts about Canon’s new FF cam (samples included). Next, it’s photographer Philip Bloom who shares thoughts and pictures of his first 48 hours with a 5d Mark III with us. 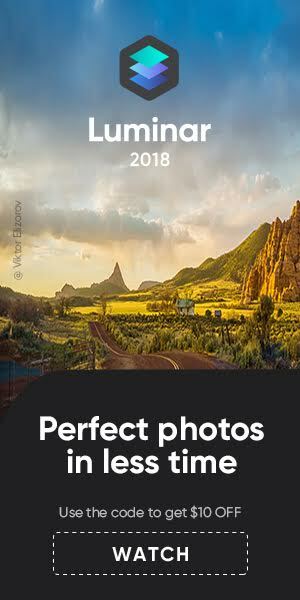 This are pics shot by a professional photographer, some are simply beautiful.